Greenheat UK is your solution for all Domestic Heating needs. This includes your Keston boiler servicing, repairs and installations for which we are most known but is not limited to only this! Don’t need a Keston – give us a call. We work closely with other boiler manufacturers to ensure we have a solution that is right for you. 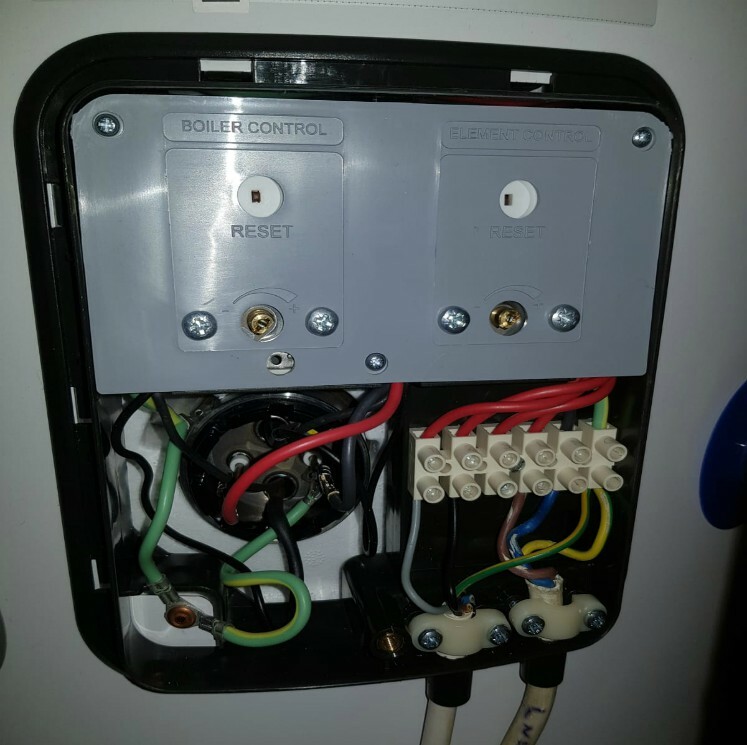 Our system engineers are able to deal with all elements of a domestic heating system whatever form that comes in. Sealed, Unsealed, Conventional or Combination we have it covered. 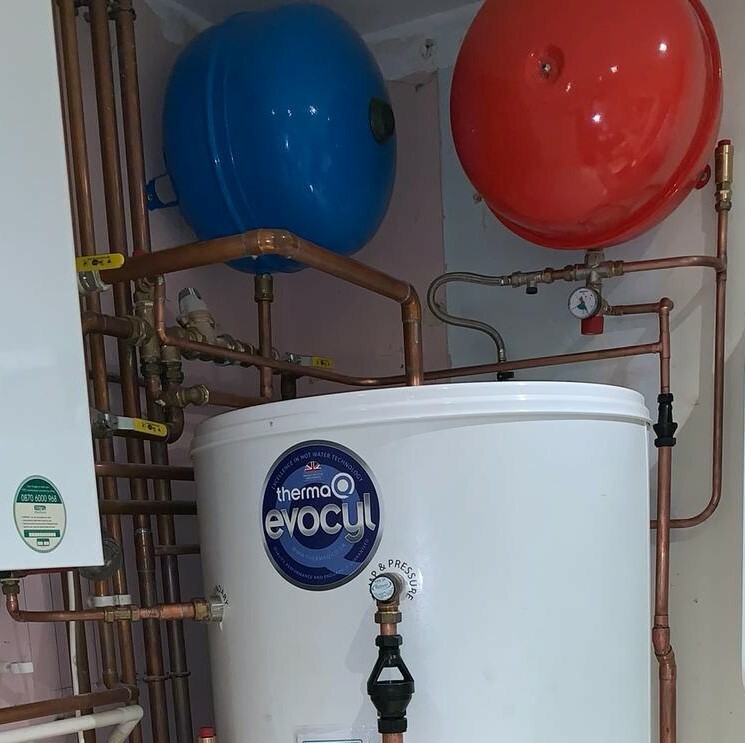 A hot water cylinder replacement with new Heating expansion (Red) and Cold water expansion (Blue) vessels. We undertake repairs and replacements of all of these components where required. 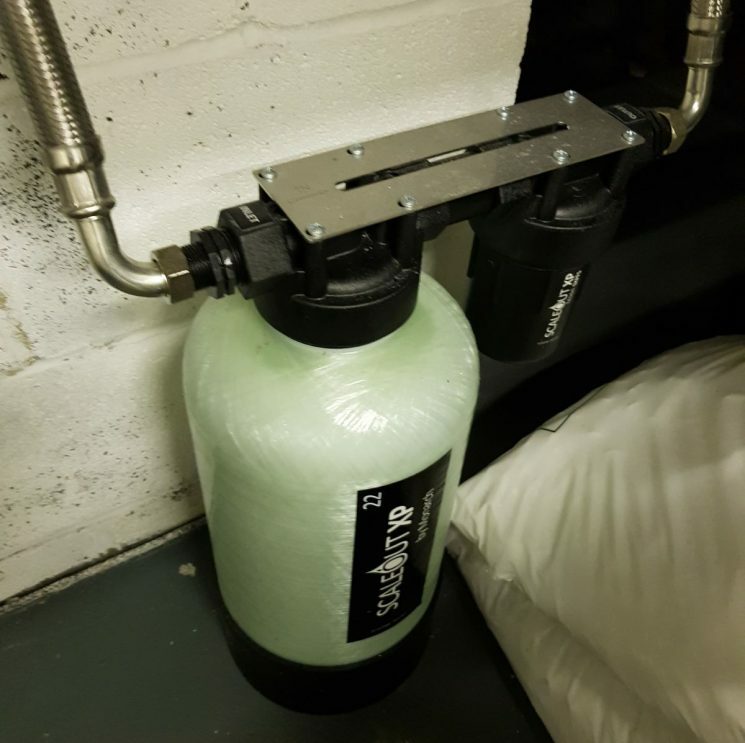 Has your hot water storage tank got an immersion heater to provide you with an electrical back up should your conventional boiler fail? We can repair, replace and install all manner of immersion heaters. Do you live in a hard water area? Suffer with Limescale? Is it blighting the quality of your water or damaging your beautiful bathroom fixtures and fittings? We fit a variety of scale eliminating products to protect your system.